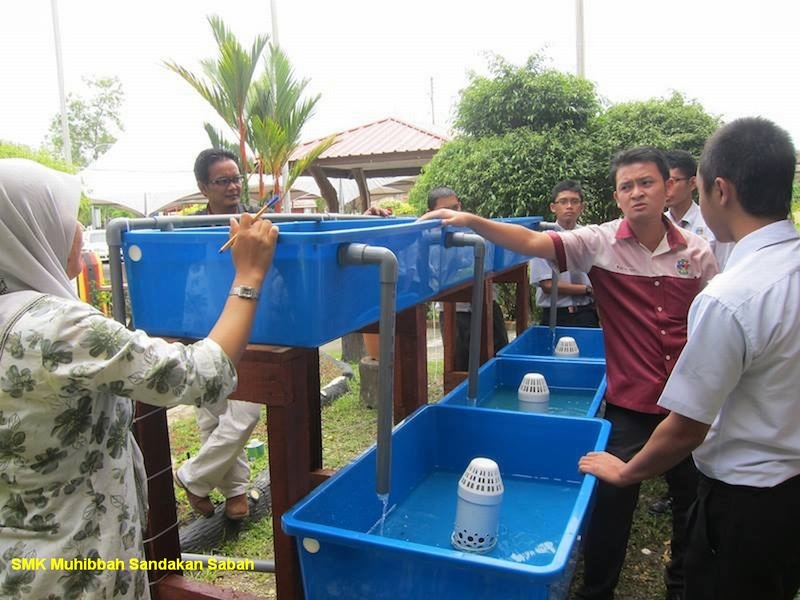 Affnan's Aquaponics: SMK Muhibbah Sandakan Sabah - Aquaponics Project. What better place to do Aquaponics than in a school. 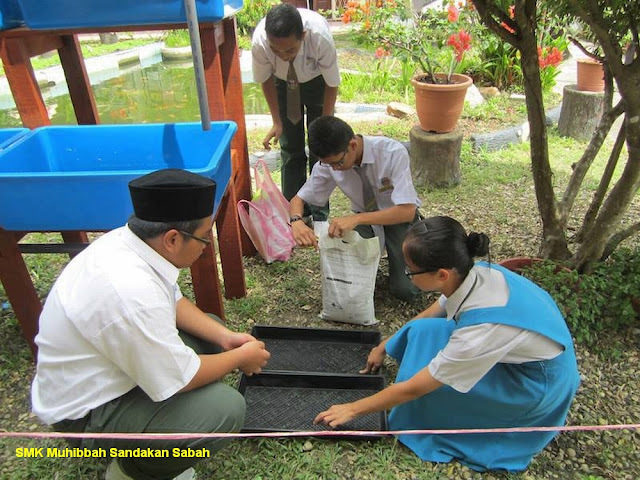 This initiative is carried out by Teacher Mr. Fendi Hamid and pupils of SMK Muhibbah Sandakan Sabah. 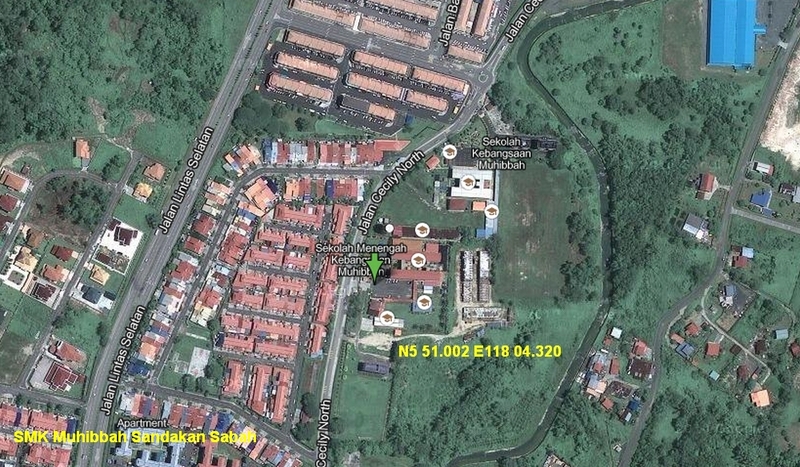 for Green School Award 2013 Project. 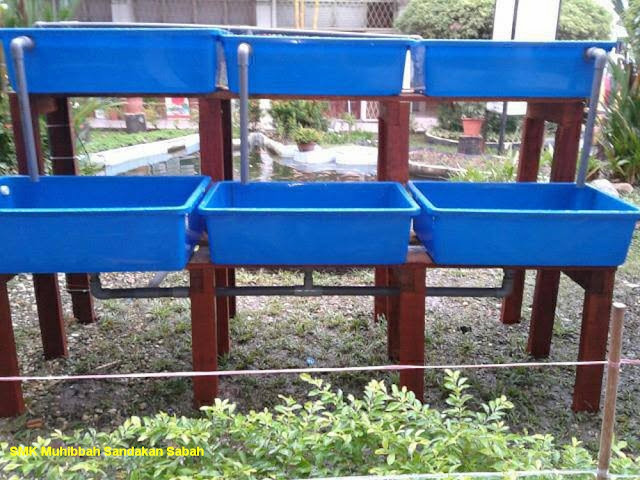 It's good for schools to get involved with Aquaponics, introducing alternative way of planting and fish keeping as in Aquaponics will make student aware of environment. 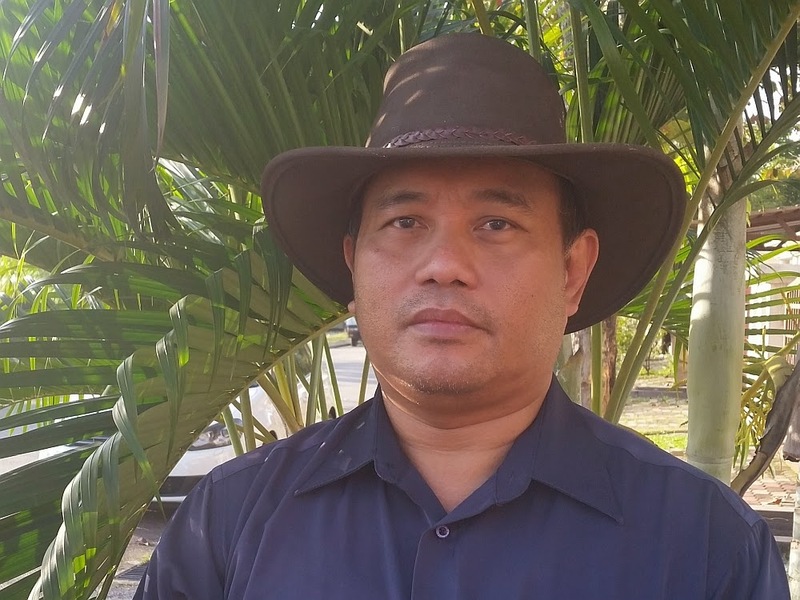 It is also a way for them to learn a method that not traditionally practiced. 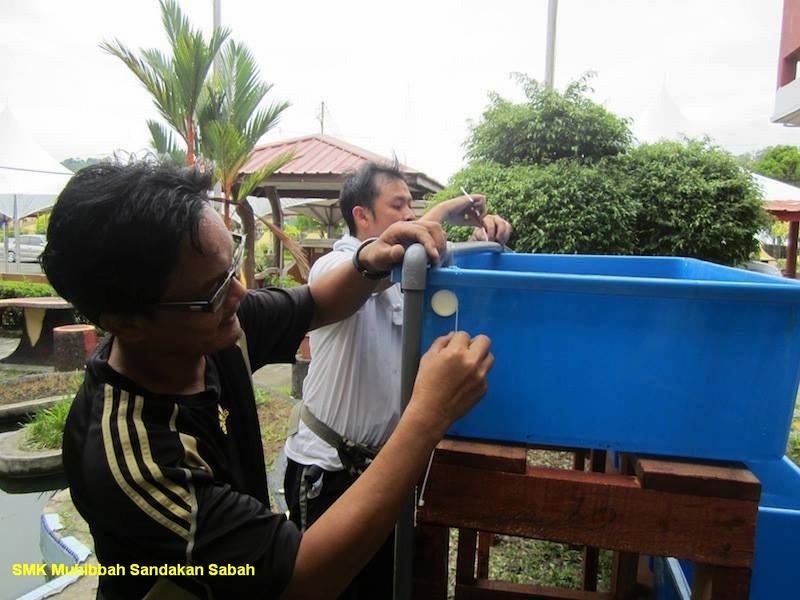 Follows are photos courtesy of Mr. Fendi Hamid on initial installation of their set up. 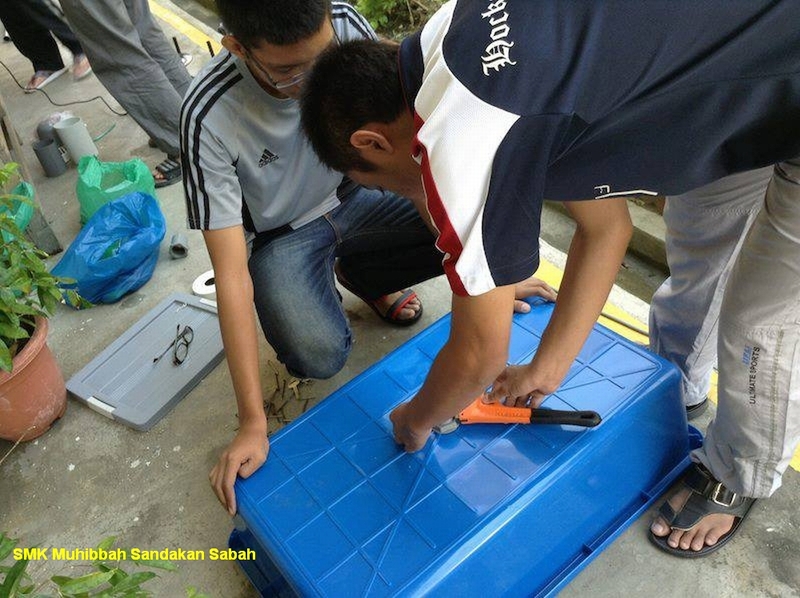 I hope they will achieve what they are aiming for and gain useful knowledge in the process. 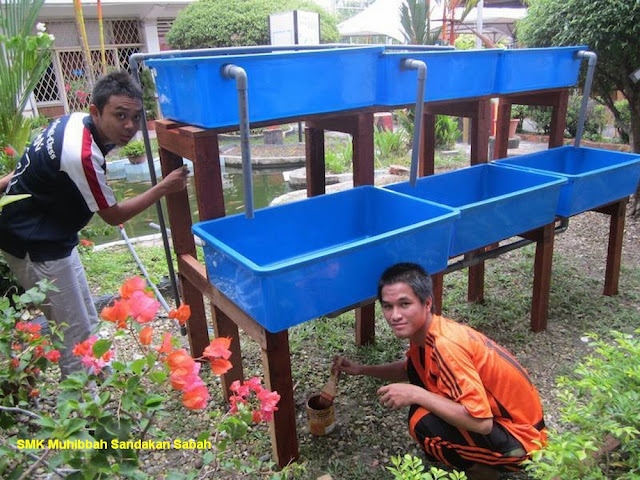 SMK Muhibbah is among the first school that take up Aquaponics for their school project. I wish them the best for this undertaking and hope other school will follow what this school is doing and I hope to hear more of their progress.